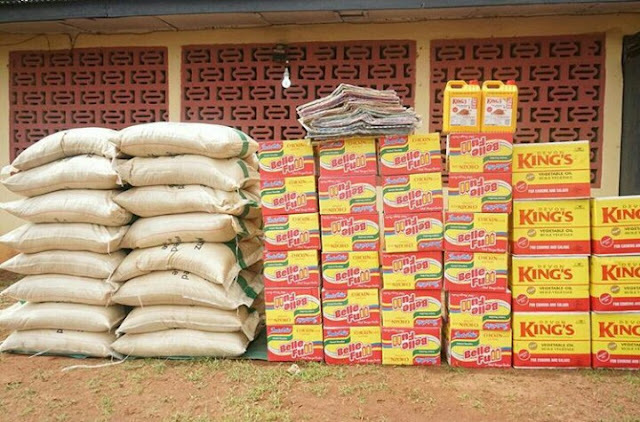 Singer Flavor Showers Gifts on Enugu Widows. 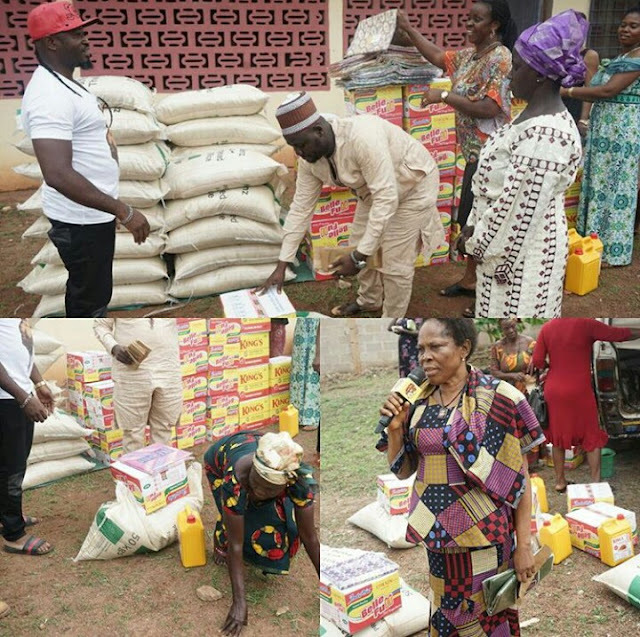 Popular Afro High-life musician, “Flavor Nabania”, yesterday showed the humanitarian side of his personality when he reached out to a cross section of Widows in Enugu state, Nigeria, showering them with Gifts, Food items, and of course serenading them with melodious tunes from some of his hit songs. See Exclusive Pictures after the cut . . . 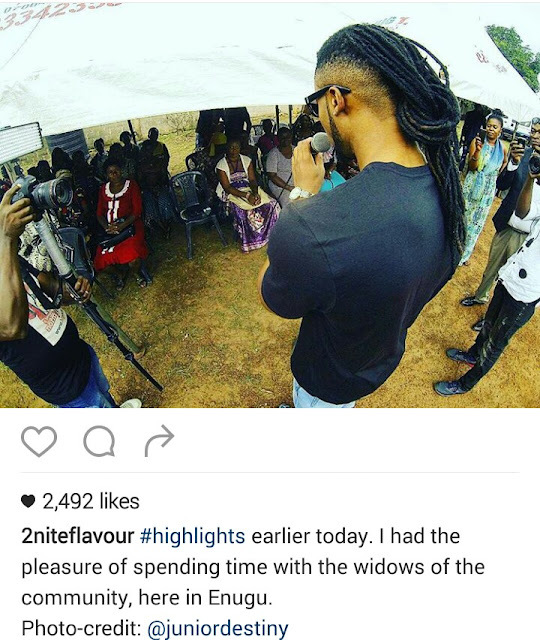 In a post on his Facebook page, Mr Flavor spoke of the quality time he had with the widows and admired their zest for life as well as their will power to survive.